This size has 600mg full spectrum CBD oil (20 mg CBD per ml). The lid is child resistant, and the dropper does come with mg measurements to ensure easy measuring. 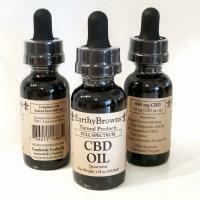 Each 1 fl oz jar contains 600mg of full spectrum Hemp (CBD) extract.